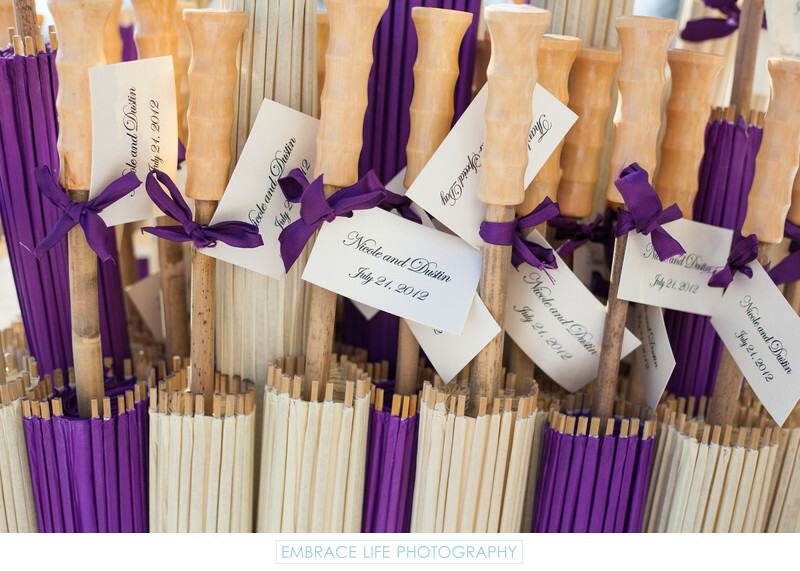 Purple and beige sun umbrellas with the bride and groom's names and wedding date tied to the handle with purple ribbon were neatly arranged on the sand at this Santa Monica beach wedding ceremony in front of the LOEWS Hotel. In addition to designing beautiful events, Los Angeles wedding planner, Charley King of Bluebell Events, always does a terrific job of ensuring that wedding guests are comfortable and having a blast. Location: 1700 Ocean Avenue Santa Monica, California, 90401 .